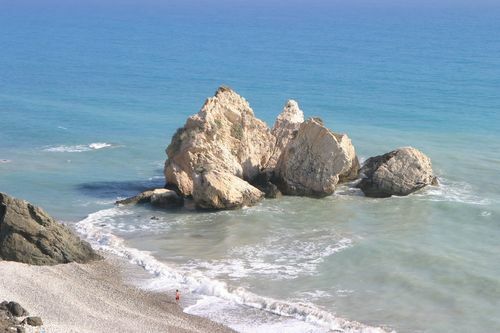 Cyprus, an ethereal fusion of history and nature, is an island nation of the European union. Located in the eastern Mediterranean, it is a country with fascinating contrasts. From the sun-kissed shores, sophisticated cities to the relics that emanate stories from the turbulent past, Cyprus is a dream destination for modern day travellers. The country has been witness to rise and devastation of different civilizations including the likes of Alexander the Great and Cleopatra. Each and every conqueror left their mark on the island and it is because of this that today's Cyprus is so rich in cultural heritage and archaeological treasures. Cyprus attained independence from its colonial status under British rule in 1960. It is considered to be a land of paradox due to its geographical position. Following the division of earth surface, Cyprus is part of Western Asia but politically and culturally it is considered as being in Europe. Nicosia, the capital city, is located centrally on the island. It is divided into two sections, with Turkish and Greek communities separated by a fortified border. Located on the southern coast of the island, Larnaka is one of Cyprus' main ports. 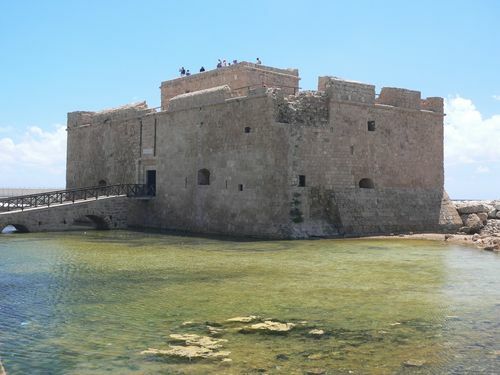 The other two most important cities in Northern Cyprus are Famagusta and Kyrenia. Cyprus is the third largest island in the Mediterranean region, with a population of around 700,000. It is located thirty-five miles south of Turkey and sixty-four miles south-west of Syria. Cyprus consists of two mountainous regions, separated by the Mesaoria plain. The Troodos, the southern mountain group, is taller with the highest peak, Mount Olympus, rising two thousand metres above sea level. The Kyrenia mountain group, in the north, is comparatively dwarfed by its southern counterpart. The Pentadaktylos Mountain is very striking with a peak resembling five fingers. The nation is a mixed basket of ecological pleasures that consist of alluring beaches, towering mountain peaks, sprawling vineyards and old stone villages. But urbanisation and deforestation has led to a decrease in green regions and wildlife habitats. The resultant environmental issue is the problem of water supplies. Despite these environmental difficulties Cyprus has a variety of flora collection and rare bird species to flaunt. The weather in Cyprus is usually sunny and hot that varies between32 degrees and 25 degrees Celsius with some rain, especially on the Troodos Mountains, during the winter months. Despite their differences and heavy influences of their mother countries, Greek and Turkish Cypriots share many customs. The friendliness and hospitality of the Cypriot people is legendary as they make visitors feel at home right from the first step in to Cyprus. 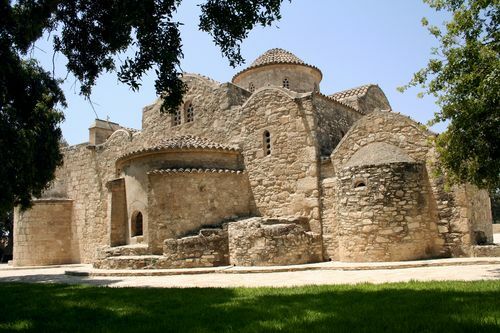 Cyprus is one of the few countries in the world with a history that is more than 10,000 years old. The country has been inhabited since Neolithic times. But as legend goes, it was the discovery of copper - Kuprum in Latin that gave its name to the island and also attracted invaders. 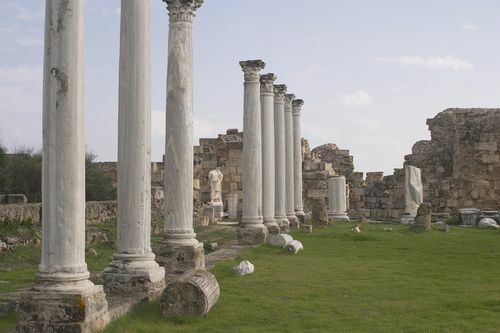 Cyprus' strategic position, its copper deposits and its timber attracted the first Greeks to the island over 3000 years ago at the end of the Trojan wars. Over the centuries Cyprus was ruled by a number of different empires including Phoenician, Assyrian, Egyptian, Persian, Alexander of Macedonia, the (Greek) Ptolemies of Egypt, Roman and Byzantine. Later, the Crusaders, the Lusignans and Venetians came. In 1571 the Turkish Ottoman Empire took Cyprus and ruled the island until the end of the 1870s. Then came the days of British Empire and at the beginning of the First World War it was annexed to Britain. Cyprus finally won its independence in 1960, the first time in 3500 years, miraculously retaining much of its Greek identity, language and culture. But the success didn’t last long. Within a few years fighting broke out between the Greek and Turkish Cypriots and a United Nations peacekeeping force was stationed on the island. Continuous sporadic inter-communal violence forced most Turkish Cypriots into enclaves throughout the island. A decade later in 1974, a coup encouraged by the Greek military was intervened by the Turkish forces. The forces invaded the island and in 1983 the Turkish Cypriot leader proclaimed the Turkish Republic of Northern Cyprus, separate from the south. But this new republic is recognised by Turkey only. It is divided by a one hundred and twelve mile "Green Line" patrolled by UN peacekeepers. In December 2002 Cyprus took part in EU accession negotiations. According to this, while Cyprus remains politically divided, only the Greek southern sector of the island will come under EU law. All Cyprus citizens are granted common Cyprus passports, which give all of them status as European citizens. The political and administrative division of Cyprus is also reflected in its economic affairs. While the northern Greek part remains sensitive to fluctuations in external factors, the northern Turkish side suffers from water problems. Overall the country traditionally derives its income from agriculture and mining. But in recent years the export of fresh fruits and vegetables has constituted a major part in its GDP strength. The Cyprus potato has become well known throughout Europe. Moreover, Cyprus also holds the highest production rate of grapes in the world and the vineyards here cover a large percentage of the semi-mountainous and mountainous regions of the island. However tourism remains the most significant industry and financially deciding factor for the island economy. The country has all the features and resources necessary to offer travellers the perfect holiday destination. It is fast becoming a booming international business and financial centre with a rapidly growing city stock market. Thanks to the formation of numerous offshore companies, foreign investment in the island has increased rapidly in recent years. The attractive tax laws lure global investors to Cyprus. Still, the Turkish Cypriots are economically rely heavily on the Turkish governments and its aids. The Republic of Cyprus is the internationally recognised government of Cyprus, which controls the southern two-thirds of the island. It is the ‘Greek’ side of the country. The Turkish Cypriot administration of the northern one-third part of the island, together with Turkey, does not accept this Republic's rule. The northern part declared itself independent in 1975, and the self-recognised Turkish Republic of Northern Cyprus was established in 1983. The administrative jurisdiction of the former consists of Famagusta, Kyrenia, Larnaca, Limassol, Nicosia, Paphoss. The Turkish Cypriot area's divisions include Kyrenia, all but a small part of Famagusta, and small parts of Lefkosia (Nicosia) and Larnaca. Negotiations were held between the Greek and Turkish sides to line out the executive system. It was aimed towards the reunification as a bi-cameral, bi-zonal federation with territory allocated to the Greek and Turkish communities within a united island. But this didn’t come out with favourable response due to differences in both the parties.